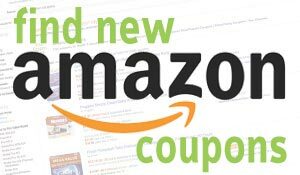 Woodstock Chimes Zenergy Chime, Solo, Silver is now available at Amazon.com for just $9.89 (REG $14.99) (As of 01 February 2019, 23:25 PST – Details) with $5.10 (34%) Savings. 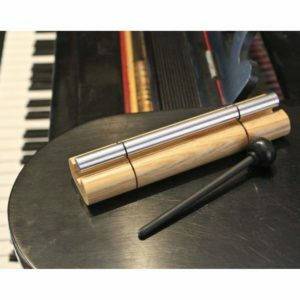 Aluminum hand-held chime and black mallet; emits a powerful tone of singular beauty. Measures 7 x 2-inches; 1-inch diameter silver polished aluminum rod. Includes a keyhole slot on the back of the cherry ash wood base so it can be installed upright on a door or wall. An effective way to start a class, meeting, yoga practice or welcome guests to the dinner table. 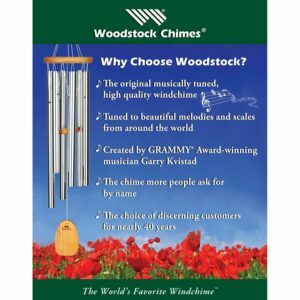 Over 30 years ago, Grammy award-winning musician and instrument designer Garry Kvistad created the first Woodstock Chime from an aluminum lawn chair he found in a landfill; Garry and his wife Diane founded Woodstock Chimes in 1979 and still develop the chimes today. Sounds like this are often used in meditation and healing, because they help us to focus and redirect our attention to the sounds within. The resonating sound not only calms and refocuses the individual, but can also focus a group. As such, it’s an effective way to start a class, meeting, yoga practice or welcome guests to the dinner table. We live in a vast ocean of sound. But what is the sound made by a single drop of water? Just a gentle tap with the mallet and the Zenergy Chime emits a powerful tone of singular beauty that lasts and lasts. Sounds like this are often used in meditation and healing, because they help us to focus and redirect our attention to the sounds within. The resonating sound not only calms and refocuses the individual, but can also focus a group. 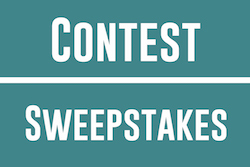 As such, it’s an effective way to start a class, meeting, yoga practice or welcome guests to the dinner table. 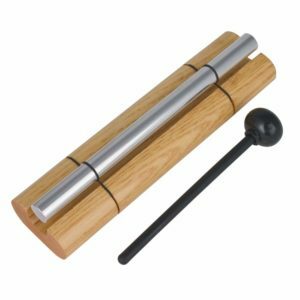 For best results, play the Zenergy Chime quietly, being careful not to dampen the sound by letting the mallet rest on the rod after striking it. Then take a deep breath and listen. Relax. Refocus. Reenergize. This Zenergy Chime includes a keyhole slot on the back so it can be installed upright on a door or wall. The mallet handle slips in between the chime and the wood for safekeeping, and voila, your Zenergy Chime is always ready to go, right at your fingertips! Gift boxed. 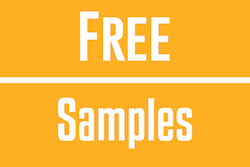 Woodstock Chimes are the original, musically-tuned, high-quality windchimes known worldwide for their superior sound. 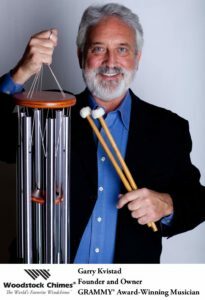 When listening to a Woodstock Chime, you hear a fine musical instrument played by the wind, perfectly hand-tuned using the ancient system of “just intonation” based on natural harmonics. This means the frequencies at which the different chime tubes vibrate are related to one another by simple whole-number ratios. Tones that are related in this way produce the most beautiful musical intervals. The sonic effect is exceptionally pure and soothing. 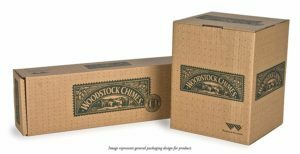 Garry and his wife Diane founded Woodstock Percussion, Inc. in 1979 and it remains a family-owned business in New York’s Hudson Valley.